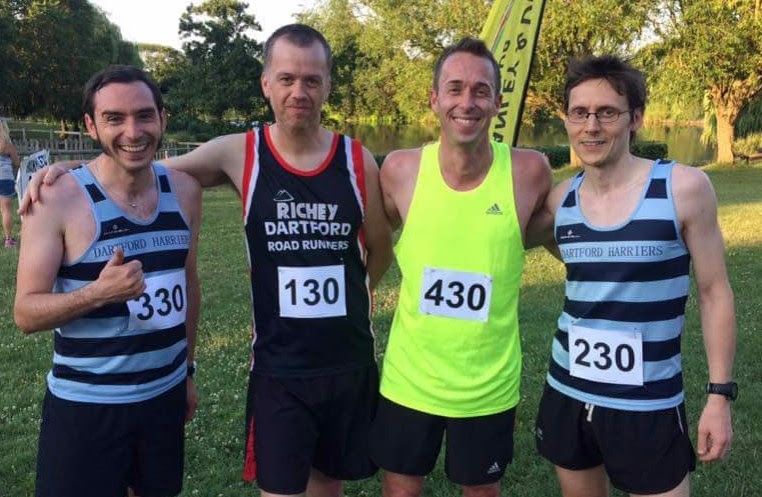 The Swanley Relay race (4 x 1 mile) is hosted by Swanley and District AC, usually on the first Wednesday of July, every year in Swanley Park (aka New Barn Park) in Swanley. I've run this race once before (2014) and subsequently, whilst injured, organised teams for another (2015) during my time at SLGR. This time around, a few of us got together to create a team. However we were not all from the same running club (1 Dartford Road Runner and 3 Dartford Harriers), so we needed a team name to run under. I had spent some days trying to come up with a decent one, but it had eluded me until, a few hours before the race one of our team was seriously considering pulling out due to a sore hamstring. 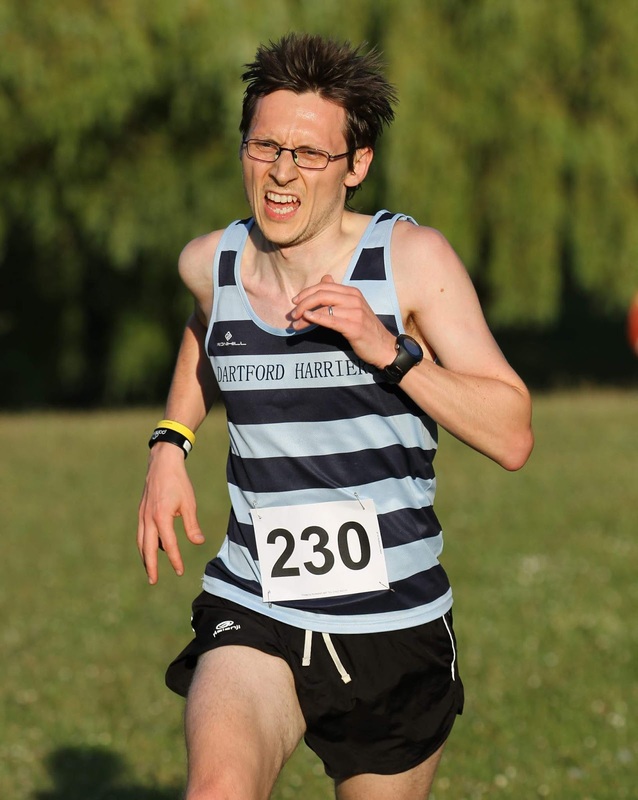 After a bit of a discussion, he decided to proceed and that lead me to proposing the name 'Hurty Hammie and the Hoops' (Hoops being the nickname for Dartford Harriers). So after a bit of post-work rushing around we finally arrived at the venue and headed for the registration desk. We paid out £10 entry fee and began to discuss which order we should run in - this discussion always comes up in relays and over the last few years, I have become a big fan of starting with the predicted slowest runner and getting progressively faster, finishing with the quickest. We all agreed that it was a sound plan and we went ahead with that method. On lead guitar and vocals was 'Hurly Hommie' himself (richey), and while he held back a bit to protect that hamstring, still put in a respectable time of 06.52 (team position 23). He handed the imaginary baton over to the rhythm guitarist (me) for the second leg of the race. I managed to pick off seven runners on my way around the course, which is mostly on grass and is generally flat-ish, but it does have a little incline and bumpy trail to deal with about half-way through. I went around in 05.47 and was happy to have achieved my goal of running under 6 minutes. With the race half-way done, we were sitting in 16th position. I handed the virtual baton over to our funky bass player (adam). With a time of 05.21, he had managed overtake six runners and moved us up into 10th position. Our grand finale was left in the hands of our man-on-the-sticks (jon) who smashed out an amazing drum solo and left the crowd mesmerised with his 04.56 effort. In the process, he had picked off another 3 runners and brought us home in 7th position overall.